The combination of grains and flours in this simple Homemade Pancake and Waffle Mix recipe makes the most wonderfully flavored pancakes and waffles. You can, however, use just one or two of the flour types if you like a less complicated pancake (or waffle). 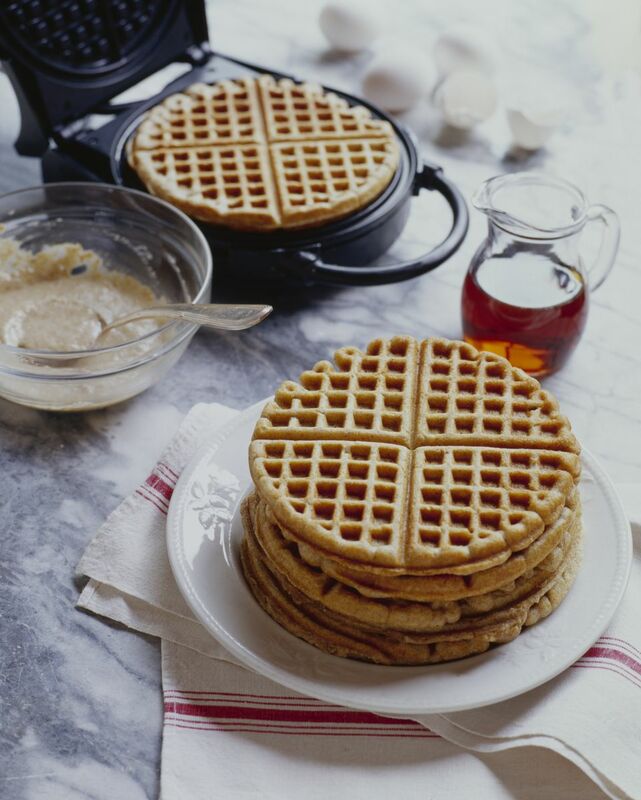 There's nothing like homemade pancakes or waffles for breakfast or brunch. But most people just don't take the time to make them because they seem so complicated. A purchased mix is fine, but it can be loaded with preservatives and sodium. Make your own mix, keep it on hand, and get into the habit of making a hot breakfast for the family, especially on cold winter mornings. Or make breakfast for dinner! The combination of flavors and textures in this recipe is really good. The cornmeal adds a slight crunch, the buckwheat flour adds a sweet and nutty note, and the corn flour adds more sweetness. Instant oatmeal makes the pancakes tender and adds a little heft. Malt powder adds smoothness and a little smokiness. And buttermilk powder adds tang and makes the pancakes and waffles taste richer. If you can find it, add a couple of tablespoons of vanilla powder; that way you can omit the vanilla when you make the pancakes. To make the pancakes (or waffles), all you need is this mix, an egg, some vanilla if you'd like, oil, and water. And a griddle and/or waffle maker! Some crisp bacon, sweet orange juice, hot coffee, milk, and perhaps some fresh fruit are all you need for a great breakfast. Oh, and don't forget the maple syrup! Place the instant oatmeal in a food processor or blender and process until ground. In a very large bowl, blend ground oatmeal, all-purpose flour, whole wheat flour, buckwheat flour, corn flour, cornmeal, buttermilk powder, baking powder, baking soda, sugar, salt and malt powder. Mix until it is all one color. Pour the pancake mix into four 1 quart jars (you may need to tap the jars to settle the mix and get it all to fit). Seal the jars, label with the name of the recipe, the instructions for making pancakes and/or waffles, and the date you made it. Store in a cool, dry place for up to one year.